The first Velar was a 1960s Range Rover test car that was fitted with steel wheels and came with an interior that could be hosed down after a serious spell of off-roading. Try hosing out the interior of the new Range Rover Velar and you’ll blow several thousand pounds-worth of in-car electronics and wreck the leather that’s draped throughout the interior of most versions. The latest British sport utility vehicle (SUV) is designed with the knowledge that most cars will spend virtually all of their lives on tarmac - a far cry from the utilitarian farm machines that the company built its reputation on. But Range Rover is now the badge used on more luxurious Land Rovers and this car lives up to the brand, with sweeping, sporty styling; large and distinctive alloy wheels; plus a luxurious, hi-tech interior. It's larger than the Evoque but not as big as the Range Rover Sport. 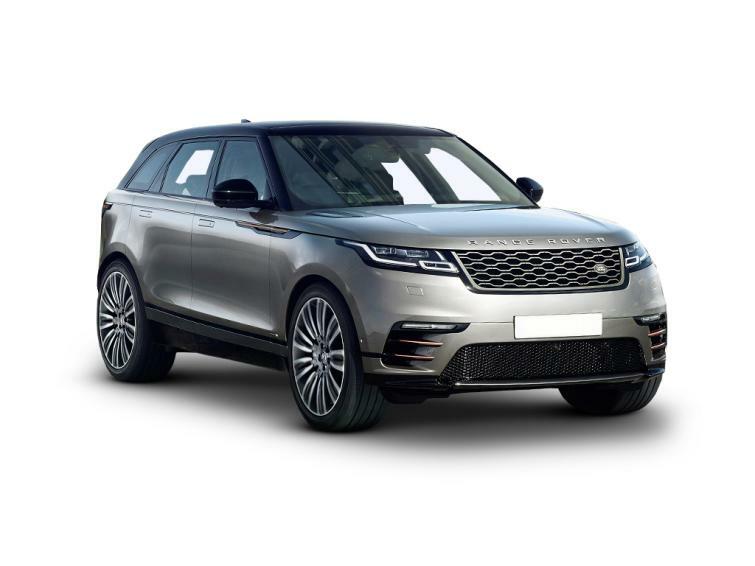 Prices start at around £45,000 but most buyers will easily spend over £50,000, even when Velar offers are taken into account. The five-seat car can comfortably carry four adults, even if legroom in the back is little better than you’ll find in a family hatchback, and headroom is impeded by the sloping roof. You’ll find that a Porsche Macan and Audi Q5 are more spacious, but they can’t match the 673-litre boot of the Velar. It’s at the front where the Velar really starts to impress, with two high-definition 10in touchscreens that sit neatly in the centre of the dashboard, with two ‘floating’ rotary dials embedded in the lower screen, which are used for a range of functions from controlling the temperature to selecting off-road modes. These screens, and accompanying switches appear piano black when the car is turned off but burst into colourful life when the ignition is switched on. It’s a snazzy way to start up and entirely in-keeping with as car that sells itself on style and design. The software is much simpler to use than those in other Range Rovers, but still requires you to press the touchscreen, which can be distracting (BMW, Mercedes and Audi allow full control from a rotary dial). The touchscreen in the Volvo XC60 is more straightforward - but less showy - and both cars show up the busy, button-strewn interior of the Macan. Every Velar feels luxurious, with imitation suede fitted as standard to entry-level cars and leather on the rest of the range. There’s also the option of a wool and polyester-blend material called Premium textile, which costs more than Land Rover’s high-end Windsor leather, but doesn’t involve animal hides. The Velar might be a relatively small Range Rover, but it still weighs 1.8 tonnes, so it uses powerful engines, which deliver reasonable fuel economy for a car of this size. Forget the official figures which suggest more than 50mpg from one diesel option, but you can expect 30 to 35mpg no matter which engine you choose, according to the Equa Index which publishes real-world fuel economy figures based on public road testing. As it’s designed for the road, the Velar’s performance on tarmac is excellent, with a nice blend of all-out comfort and acceleration when you put your foot down. It’s not quite as stable or nimble as a Porsche Macan, which can dart through corners with the agility of a sports car, or the Jaguar F-Pace for that matter. Neither of those cars can match the Velar’s smooth ride, though. As with most SUVs of this size, the Velar is considerably smoother over bumps if air suspension is fitted (it comes as standard with V6 models). This also improves the Velar’s ability off-road, as it can be adjusted to increase the height of the car, but you won't see the Velar on any jungle expeditions. Although it's more capable on tough terrain than most rivals, its low sporty design will leave it trapped in deep ruts that the Land Rover Discovery or Range Rover could drive straight out of. The most efficient diesel engine sacrifices sporty performance for respectable fuel economy, but it’s barely better than more powerful options, returning around 35mpg in real-world driving. The most powerful diesel engine might be more expensive and a little less efficient than other options, but the extra performance means that the car feels as sporty as it looks. S models with six-cylinder engines (like this one) come fitted with ultra comfortable Air Suspension as standard. It is the most expensive model in the line-up, with a 3-litre V6 petrol engine that can race from 0-60mph in just 5.3 seconds. It sounds good, too. May 2018 Mid-range D275 diesel engine added. Steering assist added as standard, enabling the car to accelerate, brake and steer itself on motorways - with constant driver supervision. High speed emergency braking also becomes standard, enabling the car to avoid frontal crashes at higher speeds. The Range Rover is available as a standard Velar, or an R-Dynamic version with sportier styling. Each one is available in four trim levels, which include different amounts of standard equipment. The cheapest is just called Velar, followed by S, SE and HSE. Velar descriptions may include the engine size, which is given in litres, but each model is generally identified by its power. Diesel engines feature the letter 'D' followed by the engine's horsepower (300hp in this case). Petrol-powered cars use the same format, with the letter 'P'. The cheapest (and therefore most basic) Velars come with an entry-level D180 diesel engine, which is the only one available in entry-level specification. This makes it the least expensive option by far. Brand new D180 models start at just under £45,000, before any discounts are applied, and it also has the best fuel economy. You can expect around 36mpg in real-world driving, according to the Equa Index which carries out tests on public roads. There's little chance of coming close to the 52mpg stated in official fuel economy figures. It is a little sluggish, compared with other engines in the range, and is only available with the two lowest trim levels (which still feel luxurious), but it is more than £7,000 cheaper than a Velar fitted with an other engine. There's only a small difference in performance between the mid-range D240 and D300 diesel engines, so the D240 will be a better choice for most drivers, as real-world fuel economy is better (35.4mpg compared with 31.8mpg for the D300, according to the Equa Index). Both engines also have decent pulling power, which makes them a good choice for towing. None of the petrol options are slow, starting with the P250 engine, which accelerates from 0-60mph in 6.4 seconds - only just short of the fastest diesel engine. It's quiet and fuel economy is surprisingly good too. The real-world estimate of 33.5mpg isn't far off the official figure, and is barely different to the diesels, which makes it an excellent choice. However, at £2,500 more, you might be tempted by the P300 engine, given that it has identical fuel economy in the real world and that it cuts the 0-60mph acceleration time to under six seconds. It's only beaten by the ferocious 380PS supercharged V6 engine that is found in the range-topping variant. This engine, despite being the most expensive to tax and the least fuel efficient, is the most entertaining vehicle to drive by a country mile, offering a suitably rorty soundtrack to match its blistering turn of pace. Even the most basic models come generously equipped and as a result, every Velar comes with the impressive InControl Touch Pro Duo two-screen system, 18-inch alloy wheels and flush deployable door handles - a Velar party trick that sees the handles pop out when the vehicle is unlocked. Off-road dynamics are taken care of by a standard Terrain Response Torque Vectoring system and Adaptive dynamics, which automatically senses the level of group from the terrain below and sends the right amount of power to each wheel. Other notable technology thrown into the mix includes: cruise control, autonomous emergency braking, a lane departure warning system, heated windscreen, keyless entry and DAB radio. In fact, a walk up the trim levels only really adds a few styling and comfort features, with the likes of S and SE adding larger alloy wheels, premium LED headlights, electrically-adjustable seating, reversing cameras and a gesture controlled tailgate. However, SE trims does see the 12.3-inch TFT full digital instrument cluster replace the typical analogue instrument binnacles, a touch that suits the advanced technology gracing the rest of the cabin. Top spec HSE models are decked out in further luxurious flourishes, including an extended leather interior, power adjustable steering column, massage and climate front seats, massive 21-inch alloy wheels and the introduction of adaptive cruise control with Queue Assist and Intelligent Emergency braking, which sees the car pilot itself in stop/start traffic. Finally, R-Dynamic trim can be specified on top of S, SE and HSE models, adding a more aggressive body pack, front fog lights, bright metal pedals inside and further sporty touches throughout the cabin. Quite unsurprisingly, these top of the range models can easily approach the £60-£70k mark, which may prove painful for even the most profligate buyers. Despite traditional Land Rover products being bought for their farmyard invincibility, modern machines are packed with technology and have been known to suffer from some niggly electronic issues in the past. The company is still no beacon of reliability: the highest placed Land Rover in this year's Auto Express Driver Power customer satisfaction survey was 66 out of 75, with a score of 89, which is a fair way behind the year's most reliable model, the Toyota Rav 4, which scored 96.2. Land Rover's performance is slowly improving, and its models share a great deal of technology, so it's increasingly tried and tested. However, it's not known how reliable the innovations in the Velar, including the dual dashboard screens, will be. The Range Rover Velar's warranty lasts a fairly standard three years but - unusually - there's no mileage limit, so long-distance drivers can be sure that they are covered for the full period, no matter how far they drive. The Range Rover Velar is a five-seat sports utility vehicle (SUV), that's larger than the Range Rover Evoque. The Range Rover Velar has smooth, sleek styling and looks best with large wheels. Customrs can specify a large panoramic roof on the Range Rover Velar, which lets in plenty of light. Every Velar comes with off-road ability, thanks to four-wheel drive and Terrain Response, which has various settings for optimum performance on different surfaces. The Range Rover Velar has been designed for optimum performance on tarmac, but it's still useful off-road. The car can wade through water up to 600mm deep (650mm when air suspension is fitted) and there's an optional onboard sonar that can detect water depth. The interior of the Range Rover Velar (shown here in left-hand drive European specification) is dominated by the two dashboard screens, with embedded dials at the bottom. Leather is standard on all but entry-level cars. The standard dual-screen display in the Range Rover Velar, allows you to adjust settings on the bottom screen, for example, while continuing to display information, such as sat-nav, on the top one. The dual-screen set-up on the Range Rover Velar's dashboard controls the full range of technology in the car, from towing assistance to climate control. Rear seat space is limited in the Range Rover Velar; there's about as much room as in a family hatchback. Perforated leather seating is one of the upholstery options on the Range Rover Velar, which also includes a luxurious-feeling wool and polyester blend.